We combine powerful coaching tools, skilled coaches and over 12 years of experience to give you a unique coaching experience. Our step by step process for creating inspirational goals, challenging milestones and an action plan which empowers you to be accountable for your own future and create the life you desire. All coaching needs to start somewhere and understanding where you are in your life today is a great place to begin..
Our mission is to inspire confidence in people, by helping them shape the total person who has a clear picture of who they are; knows what they want from life and how to get it. Those who want to be doing more with your life but lack the confidence and courage to change. 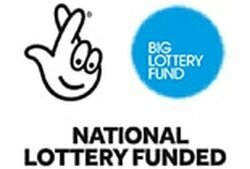 People who have been out of employment for many years and want to gain transferable life skills to enter the workforce and find regular employment. 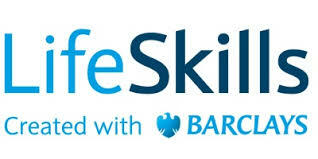 We provide Barclays Life Skills Training, Work placements for Duke of Edinburgh Program and Volunteering opportunities in order to achieve our aims. Help them take personal responsibility for their future including making healthier choices about lifestyle. ​We want to be part of bringing change to our community, improving outcomes for our clients, enabling them to recognise and fulfill their potential to build a worthwhile future, nurture quality relationships and in so doing enrich their lives and affect others for good. We recognise that we cannot do this alone, so we work very closely with other local organisations in our community to deliver these outcomes. Templesprings realizes the positive impact volunteers have on making our community a caring, vibrant and unique place to live and work. We provide a wide range of volunteer opportunities to support individuals in achieving their personal goals and objectives; and also to augment the services provided to clients and users. We rely on the generous donations of people like yourself who believe in our vision and mission. Every penny donated will go a long way into helping us accomplish this.